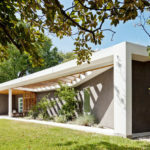 Matt Fajkus Architecture have recently completed the contemporary remodel of a Mid-Century Modern house in Austin, Texas. 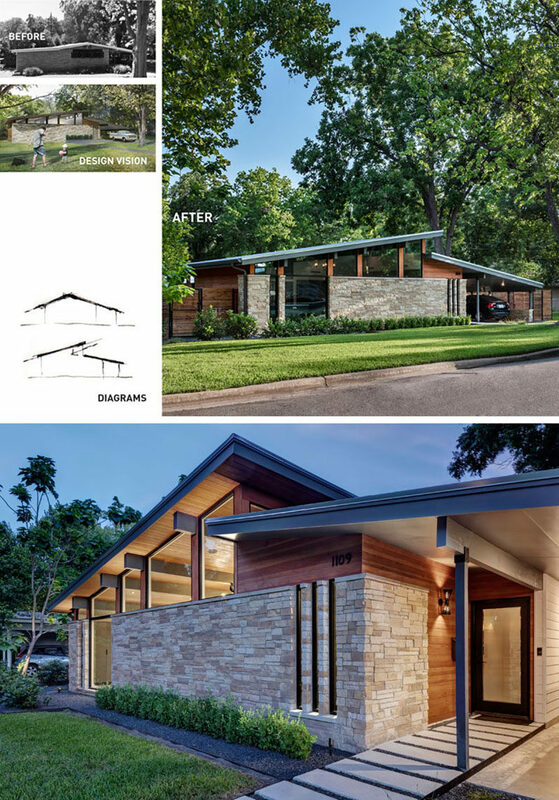 The architects used a combination of natural light, simple materials, and a new raised roof line, to create an open and welcoming home. 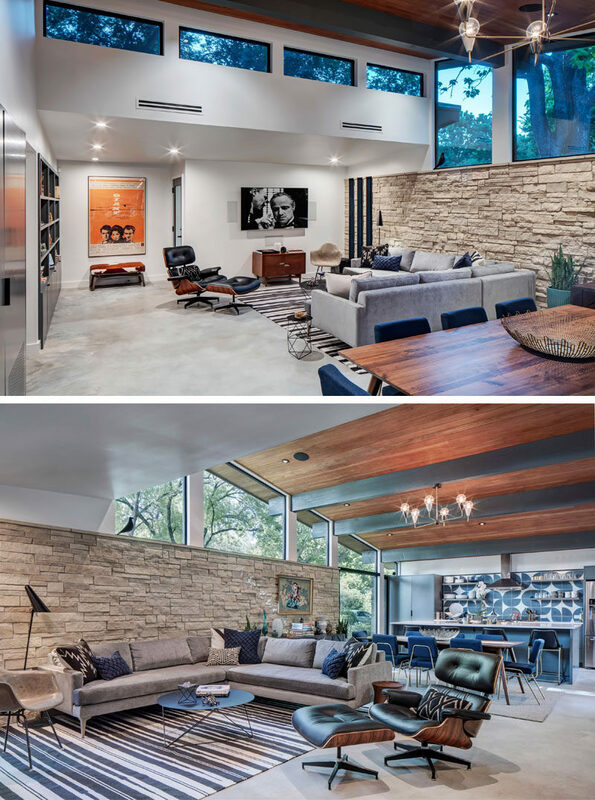 Stepping inside, the social areas of the house are all open plan, with the living room at one end of the room and the kitchen at the other. Separating the living room and the kitchen is the dining room. 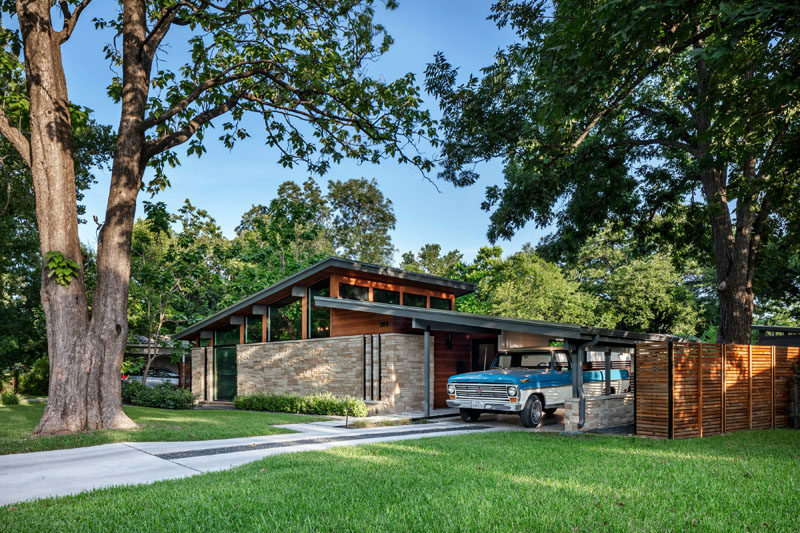 Low ceilings were removed, and with the roof being raised, the interior gained head height, allowed for clerestory windows to be added, and the tongue and groove wood ceiling to be displayed. As part of the remodel, the kitchen was opened up, and large picture windows were added on either side. 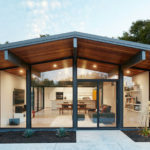 Located off the kitchen is a small covered patio, that features the same tiles as the kitchen backsplash. 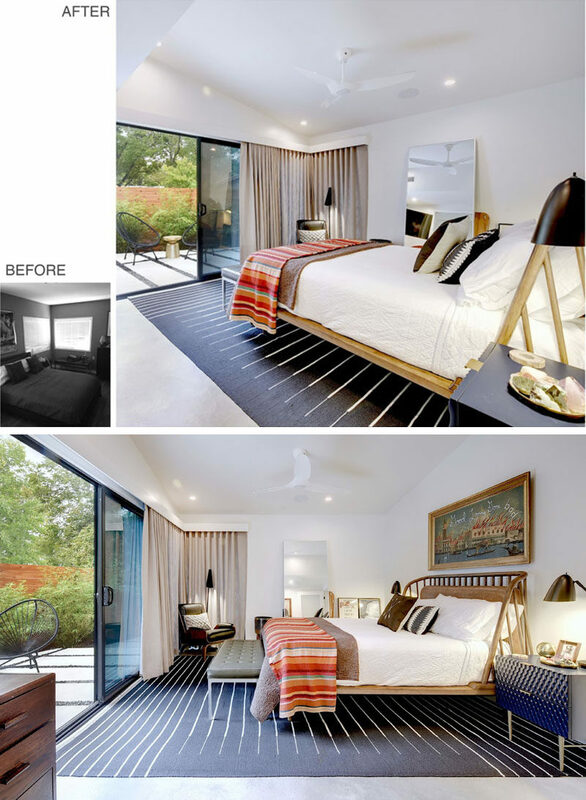 Back inside, and the master bedroom has been given a bright facelift, with a high ceiling, white walls, a sliding door, and new windows. 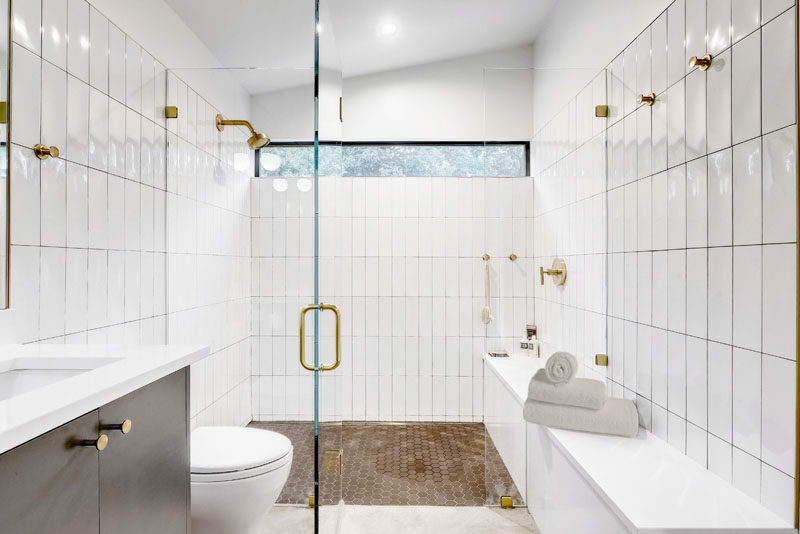 In the bathroom, white glossy tiles cover the walls, while a glass shower screen allows natural light from the window to filter through to the rest of the bathroom. 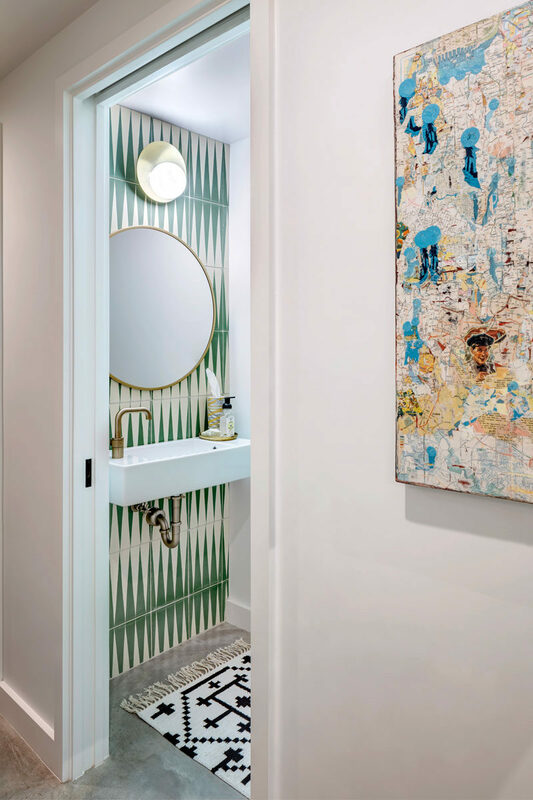 In another bathroom, decorative tile is combined with a round mirror and a simple white vanity for a contemporary appearance.